SpaceX is deep into pre-launch preparations for two upcoming missions that are set to lift off within a couple of days of each other. Both target launch dates have moved to the right by a matter of days, with the SES-11 mission from KSC’s 39A now tracking an October 7 departure, while on the West Coast the Iridium NEXT-3 mission now has a launch placeholder of October 9. While both pre-launch flows are deemed to be issue-free, changes to the launch date targets are not unusual, especially for the busy Eastern Range. Notably, it was the SES-11 mission that moved to the right by a few days. The satellite, also called EchoStar 105, is a spacecraft with 24 Ku-band and 24 C-band transponders that will be used to support the continued development of the U.S. orbital arc media distribution neighborhood and provide coverage over North America, including Hawaii, Mexico and the Caribbean. It will ride atop SpaceX’s B-1031.2 booster – conducting its second flight after successfully lofting the CRS-10 Dragon to the International Space Station (ISS) earlier this year – a launch that was the maiden SpaceX launch from 39A since its transformation from its Space Shuttle era. The launch date was previously tracking a flow that would have involved a Static Fire test on September 29 ahead of an October 2 launch. That timeline has since moved to an October 2 placeholder for the Static Fire test, ahead of an October 7 launch date. No specific reason has been given for the change to the schedule. An Atlas V, however, is also vying for the Eastern Range’s attention in the first part of October, with another high-priority NRO mission. The NROL-52 mission is currently evaluating an October 5 launch date, although ULA has yet to confirm a set target due to the classified nature of the payload. Over on the West Coast, SpaceX is also preparing another Falcon 9 for launch, involving the third set of Iridium NEXT satellites. This launch follows on from the Iridium NEXT-2 launch that took place in June, with the third launch set to transport another 10 satellites into a constellation that will eventually number 75 spacecraft. 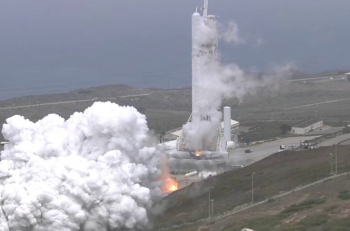 The Falcon 9 involved with the third flight, B-1041.1, was set to undergo a Static Fire test on the SLC-4E pad at Vandenberg on September 30, ahead of an October 4 launch. However, that schedule has moved to the right by a few days, mirroring the SES-11 realignment by moving to a Static Fire target of October 5, ahead of a launch target of October 9. Iridium and SpaceX were yet to officially update the launch date, although it is now on the Western Range’s schedule. 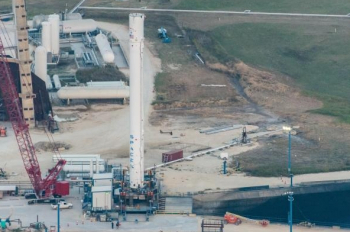 SpaceX later tweeted confirmation of the new date on Tuesday. It is known there are no issues with the payload or rocket, meaning this was a pure schedule realignment. SpaceX does have separate launch teams for both its East and West coast operations, but can opt to protect its manifest running order with such realignments, as appears to have been the case with these two upcoming missions. A third launch in October remains on the cards, with the Falcon 9 booster involved with the Koreasat 5A mission set to arrive in Florida in the coming days. 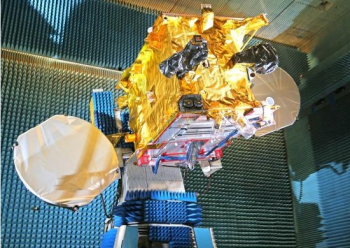 The Thales Alenia Space-built satellite is based on the Spacebus 4000B2 platform and its Ku-band transponders will provide coverage to Korea, Japan, Indochina and the Middle East from its orbital home at 113° East. A launch date in October is yet to be assigned to this mission on the Eastern Range schedule. However, the big question was where this launch would actually take place from, with some initial hope this could have been the first launch from a repaired SLC-40 at Cape Canaveral. 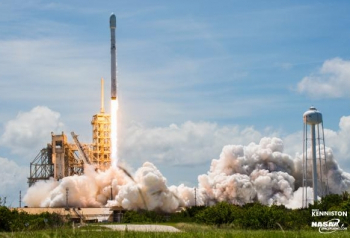 SpaceX, on Tuesday, confirmed the launch will take place from 39A. 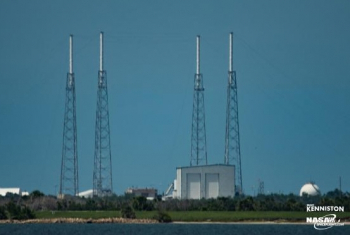 SpaceX’s SLC-40 launch complex has been undergoing extensive repairs following the loss of the Falcon 9 and AMOS-6 satellite during a Static Fire accident just over a year ago. That accident caused extensive damage to the pad’s structures, destroying the TEL (Transporter/Erector/Launcher) that has since been dismantled and also contaminated the “guts” of the launch pad. Kennedy Space Center’s 39A has been ably coping with SpaceX’s East Coast launches, but requires SLC-40 to return to Falcon 9 launch action to allow engineers to conduct extensive modifications to the 39A TEL ahead of hosting its first Falcon Heavy rocket. SpaceX is yet to say when SLC-40 is set to return, although source information from the weekend noted a large team of engineers are still working on the new Falcon 9 TEL inside the SLC-40 HIF (Horizontal Integration Facility). It is understood the framework of the structure has now been welded together, but a large amount of work is still outstanding, including the installation of plumbing, umbilicals and the painting of the erector. The amount of work yet to be completed on the new TEL means it was increasingly likely the Koreasat 5A will be launched from KSC’s 39A, as was later confirmed. 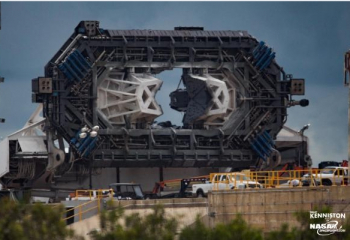 Depending on any potential get-ahead work SpaceX can conduct on the 39A TEL inbetween Falcon 9 mission, it is also becoming more unlikely Falcon Heavy will debut in November. The November target was always notional based on the milestones the new rocket will have to pass before it even reaches launch day. This will include rollout, fit checks, a Wet Dress Rehearsal (WDR) and a Static Fire test at 39A before it is cleared to enter its first launch day campaign. With SpaceX’s near-term manifest its main priority, keeping 39A active for the interim will be an obvious decision over any rush to debut Falcon Heavy.